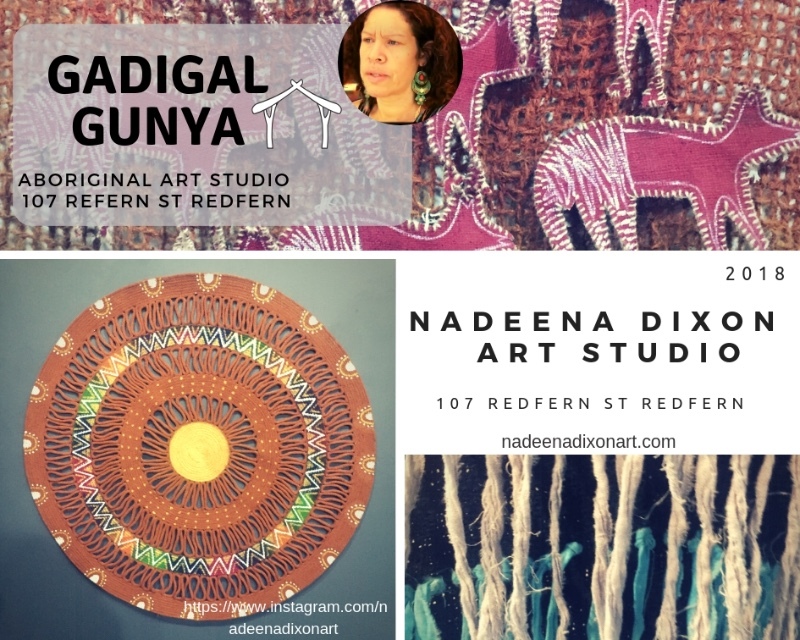 is the Artist home of Gadigal ,Yuin ,Wiradjuri Master Weaver, Aboriginal Educator & Multi Disciplinary Redfern based Artist Nadeena Dixon. 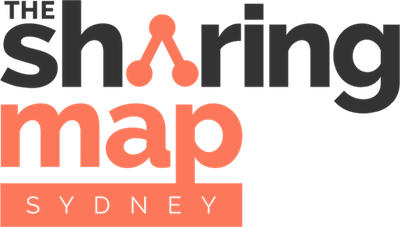 The Gadigal People of the Eora Nation . 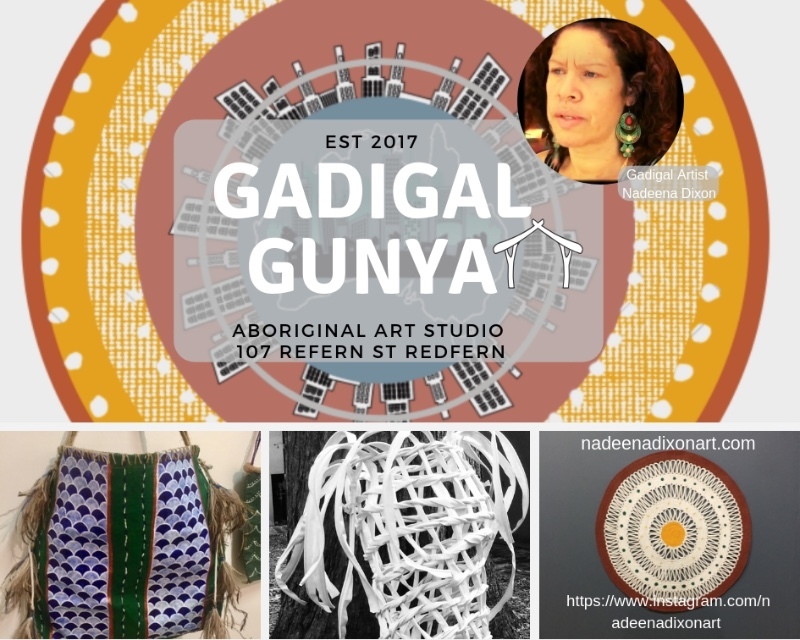 Gunya is the Gadigal word for House , home or dwelling. Along side her art Nadeena is an Educator and teaches Indigenous perspectives in Arts. 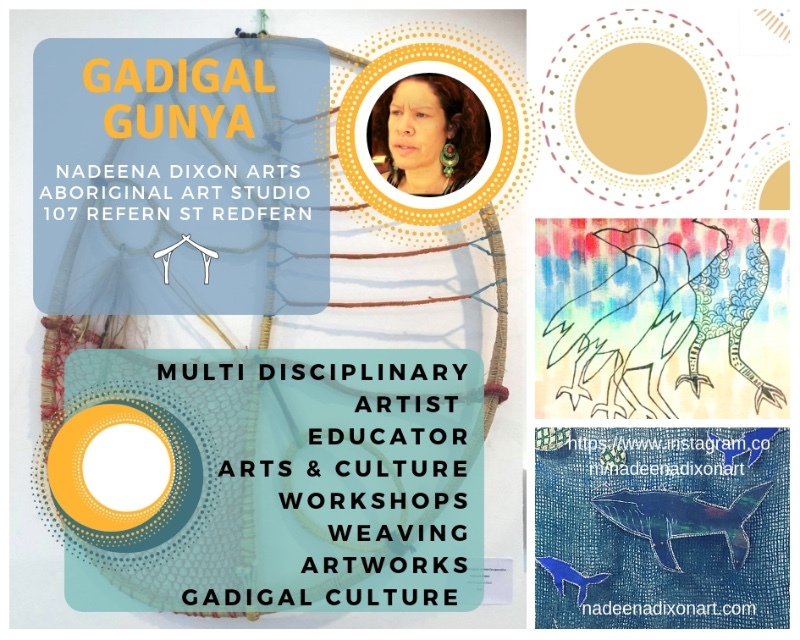 The Gadigal Gunya is a space to come for a visit and connect with a local Gadigal Artist, learn about Nadeena’s art practice and share the historical , spiritual and cultural processes engaged in Aboriginal Art Making.